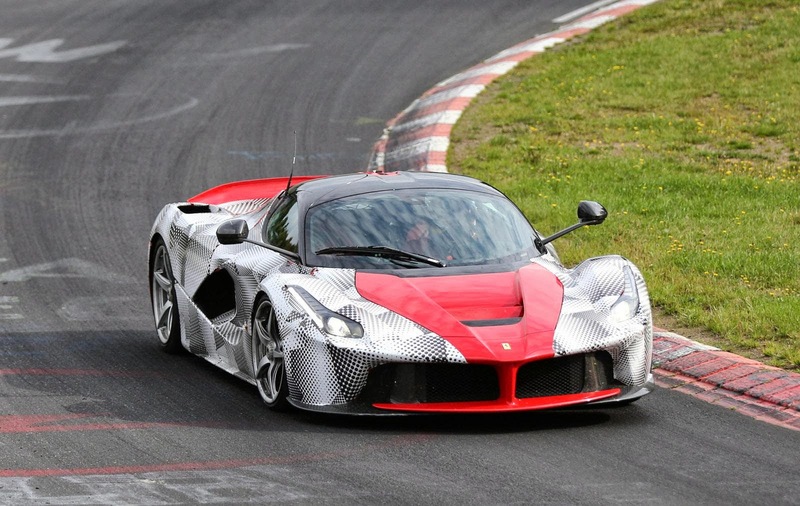 Recently we have shown you some pictures and a video of a LaFerrari being driven around the Nürburgring. Well, there's a new video online and I'm sure you can't get enough of that amazing soundtrack, so check out this new video of a testing mule being driven again around the Green Hell. Is Ferrari looking for a sub-7 minutes lap record or it's just testing the car before the production starts? As we told you, the main rivals of the LaFerrari (the McLaren P1 and the Porshce 918 Spyder) have already started the production, mean while Ferrari has delayed the LaFerrari because apparently the car is not yet 100% ready for the customers. Back in September I had the luck to catch not one, but two LaFerraris together during a test session around Fiorano which is Ferrari's private test track located very close to the factory in Maranello.